Hurricane Florence might not have been really a hurricane, considered to be a tropical storm, but that didn’t mean that it didn’t cause any damage. 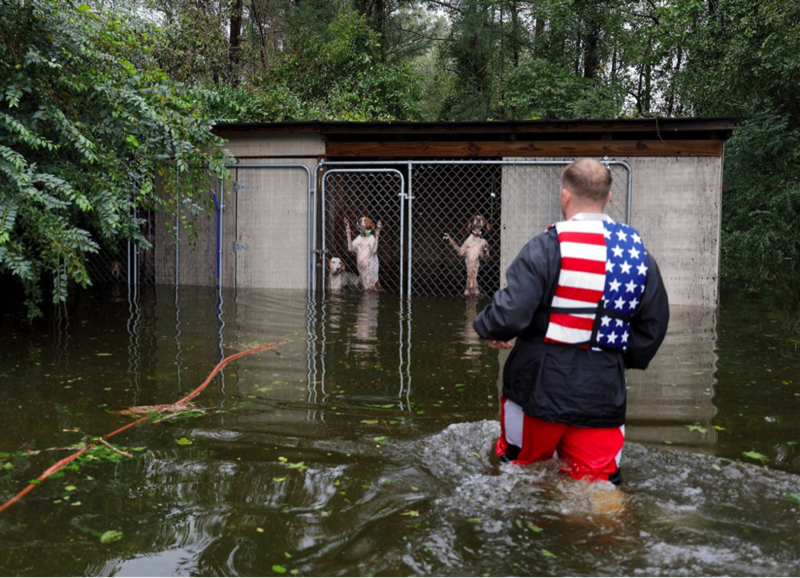 The Carolinas saw unending rain, forcing residents to leave their homes and all their belongings behind as they fled from a historic flooding. Families were desperate, knowing that all they worked for would be destroyed, but what was more heartbreaking was that animals were lost or even abandoned. 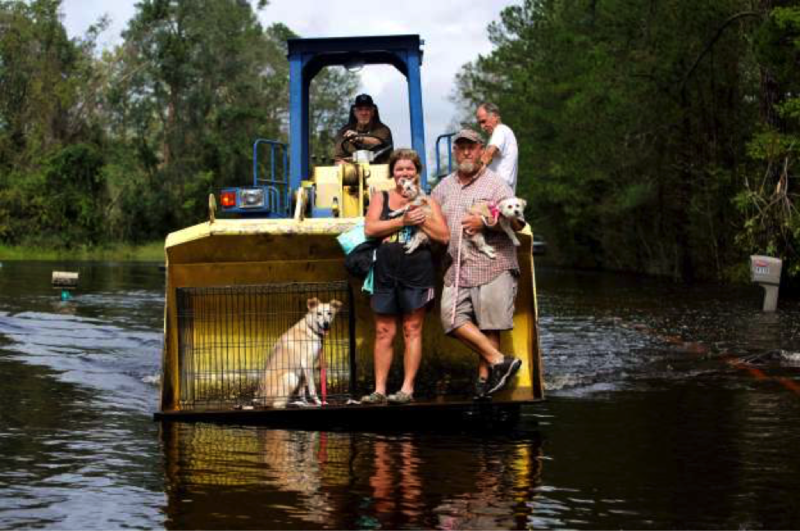 Whether they were farm animals, pets in the backyard or at the shelter, many of them had no way of transportation to safety. For example, volunteers heard howls from afar. 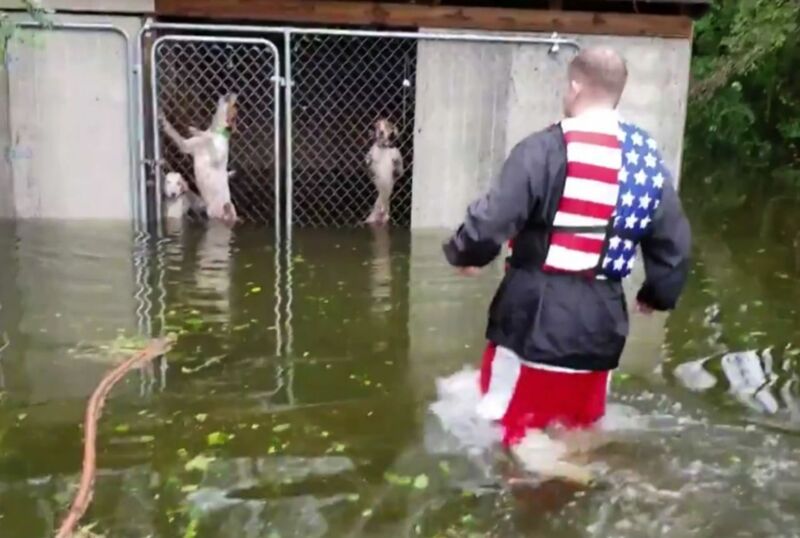 As they approached a backyard, six dogs were swimming in their locked cage! When a man heard howling far away, he stopped what he was doing and went to investigate. As he approached a backyard, he couldn’t believe his eyes. A locked cage filled with water was holding six dogs, who kept jumping on the fence, happy to finally see a human pass by.